One way to tell is to insert a penny, head first, into the tire tread. If you can see Lincoln's head, it's time for tires. But tire tread isn’t the only indicator of problems. If your tires are more heavily worn on the inside than the outside, or vice versa, you may also have wheel alignment issues that won’t be solved with a new set of tires. The technicians in our service department are all certified professionals who are eager to provide for the needs of your ride. Our team can easily tackle any: Balancing needs Inflation requests Rotations Tread checks Or any other tire service your vehicle may be in need of. Amaral Auto Sales also has new tire options to choose from, so if you're looking to upgrade to a new set today, make the trip over from Nutley to our convenient Lyndhurst, New Jersey location now! 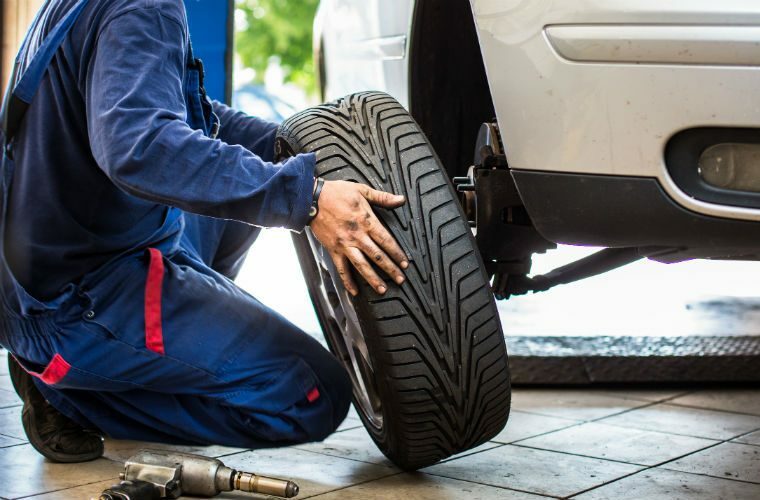 Our dealership encourages you to make tire inspections a regular part of your vehicle maintenance plan so that we can provide preventative care that will help prolong the lifespan of your car's tires. Schedule A Tire Service Online Now Don't ignore signs of tire wear and tear, use Amaral Auto Sales' website to schedule a tire service today! You can choose a date and time that complements your schedule, or you can give our service department a call to speak with an associate about your needs. We'll answer any tire concerns you may have and will get you set up with an appointment. Our used car dealership keeps detailed service records, so be sure to bring your vehicle into our service department for all repairs, not only your tire needs, so that we can create a comprehensive vehicle history report. Amaral Auto Sales is here for all of your maintenance and repair needs, so give us a call to let us know how we can be of service today!